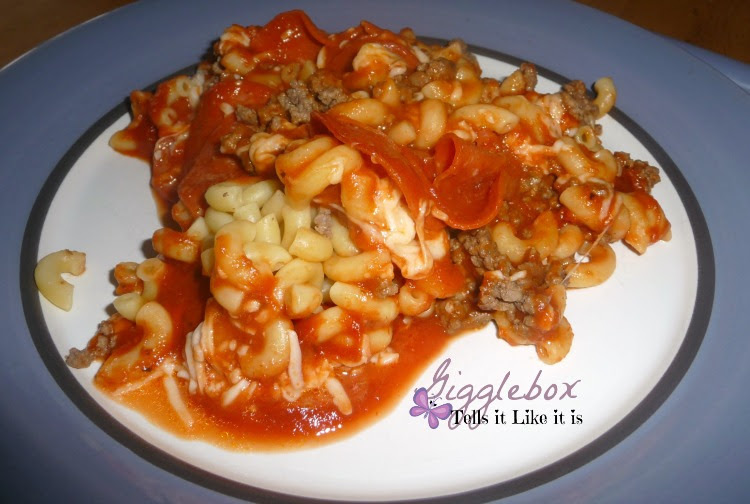 This is a very simple and easy meal to have any night for the family. 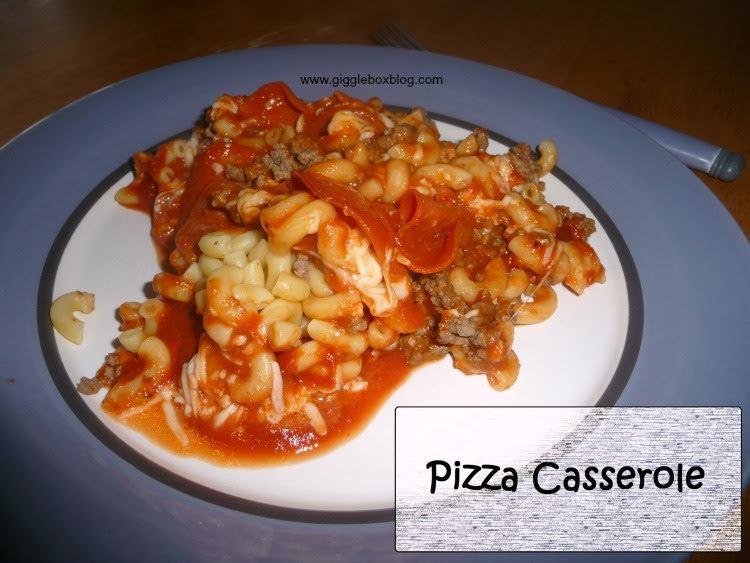 My mom used to make this when I was growing up. Since my husband loves pizza, I have been making this to give him his pizza fix without having an actual pizza. 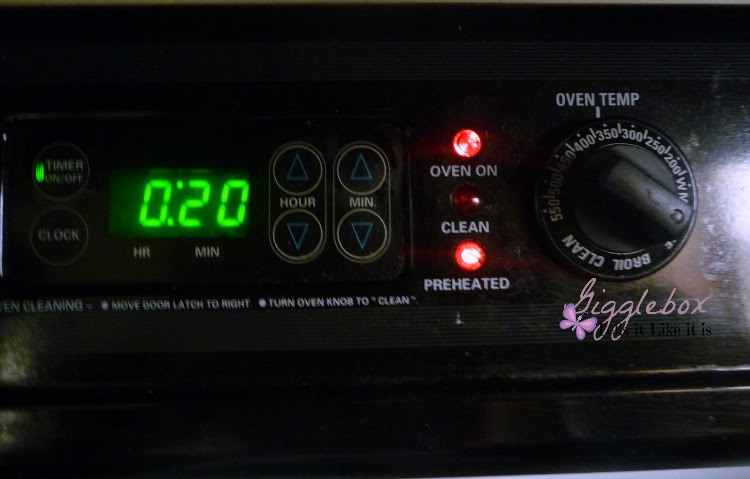 Preheat your oven to 350 degrees and start boiling the water for your noodles. 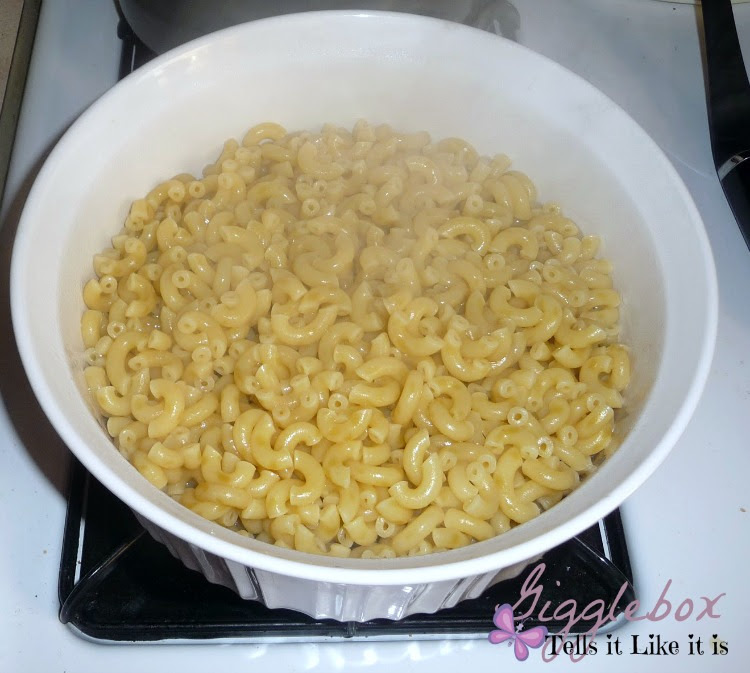 Cook the noodles according to the directions on the box. 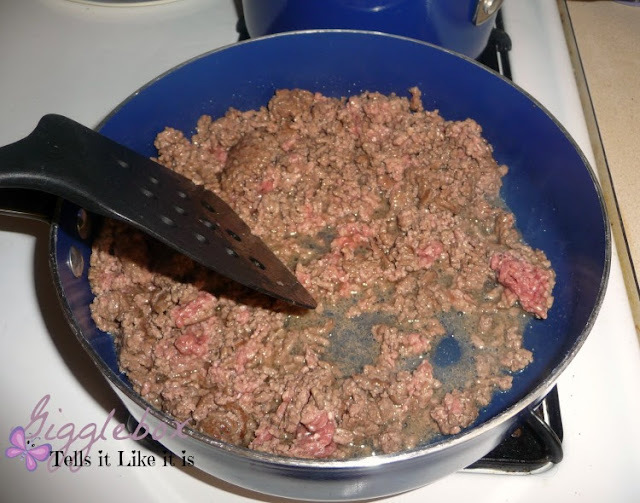 While your noodles are cooking, you want to brown your hamburger meat. 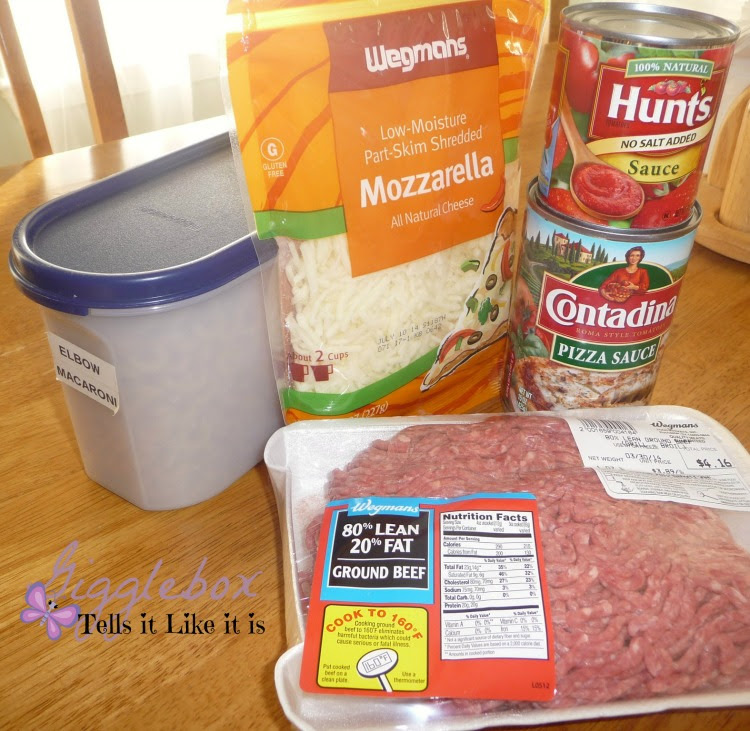 If you want to add onions to this, add them in with your hamburger meat. After your hamburger meat is browned, drain the grease from the pan. 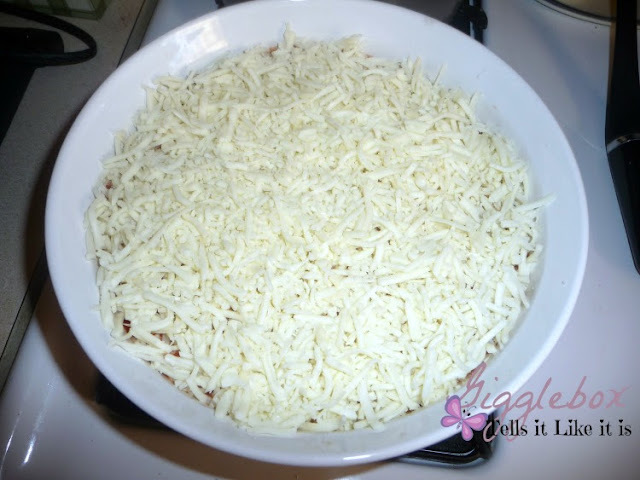 Then pour meat into a casserole dish. 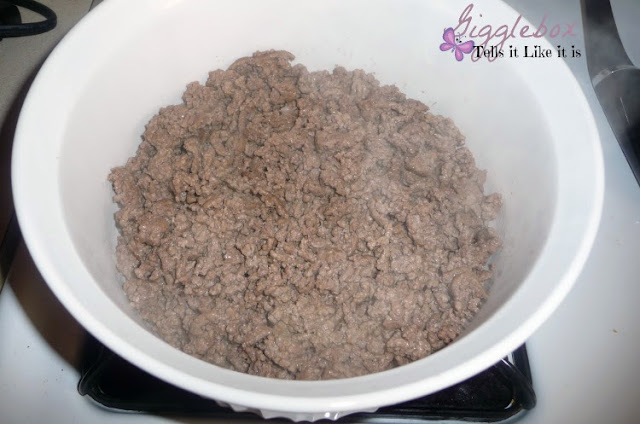 Once your noodles are cooked, drain out the water, and pour the noodles over the hamburger meat in the casserole dish. 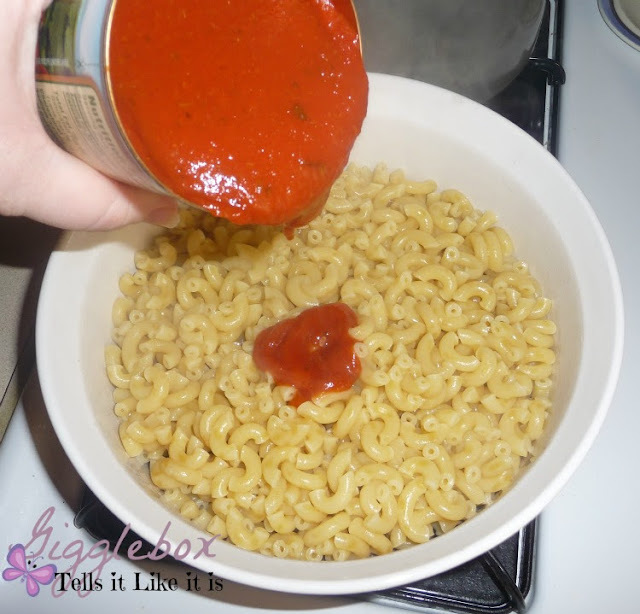 Pour the pizza sauce over the noodles. Even though the pizza sauce has seasoning in it, you can add more oregano and garlic salt to taste after putting the sauce in. Once your noodles are covered with the pizza sauce, layer the shredded mozzarella over top. 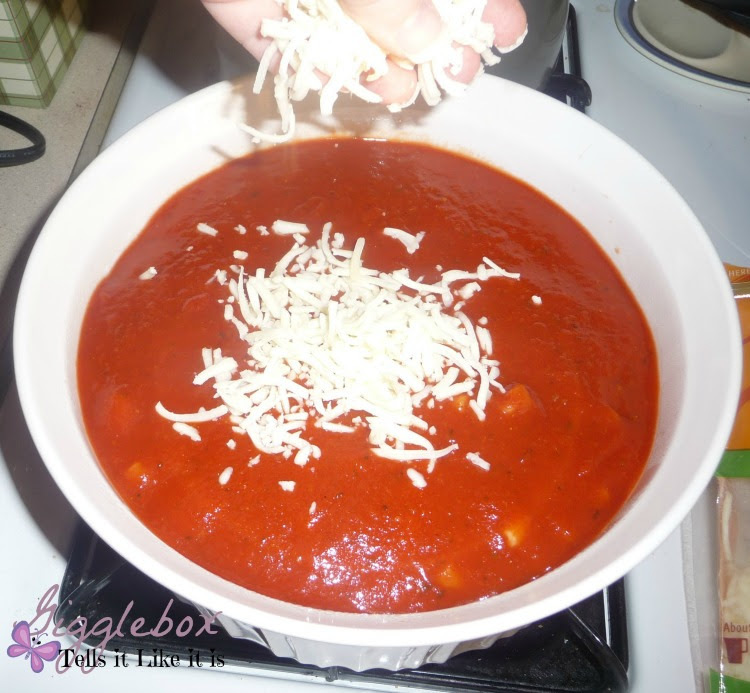 We love cheese, so I put the whole bag in, but you don't have to have that much cheese if you don't want. Start making a layer with your pepperoni. 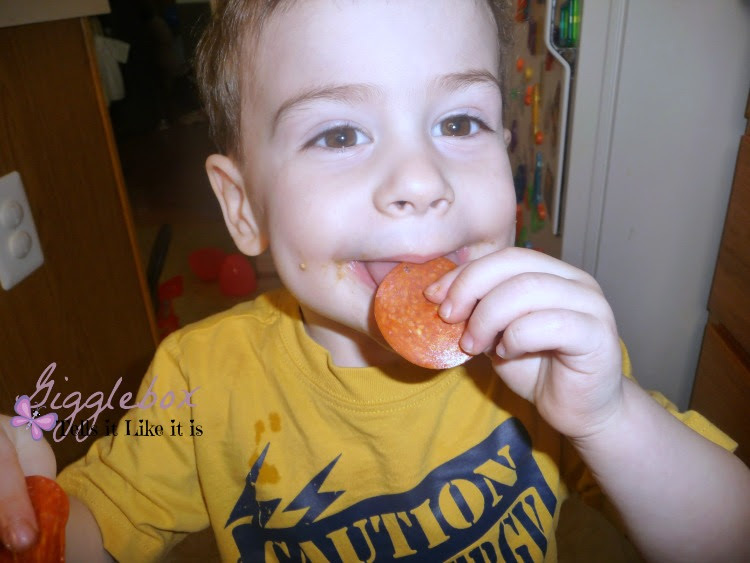 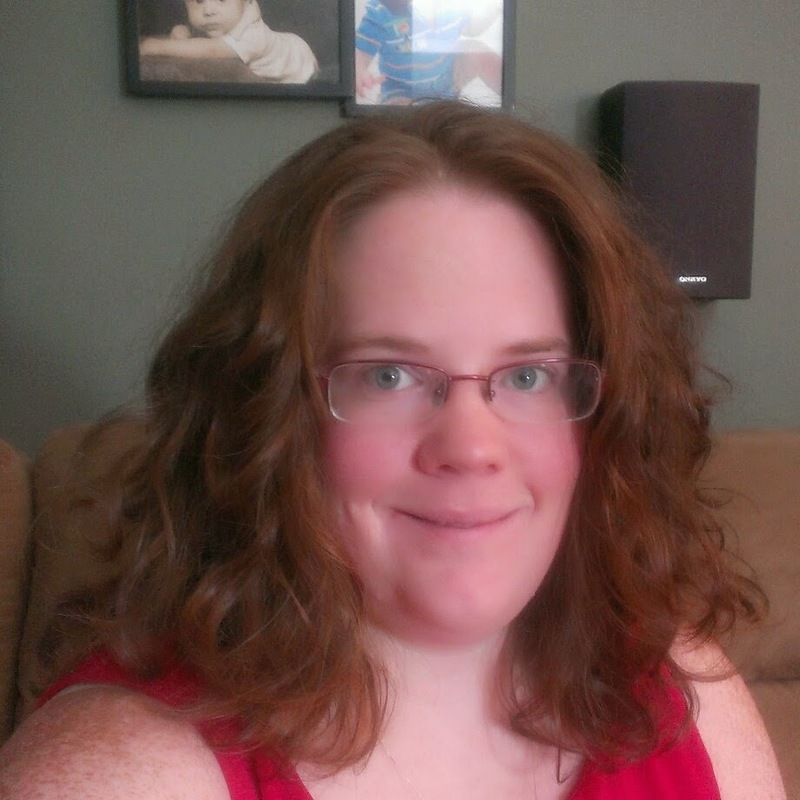 You might have a little toddler asking for some pepperoni at this point. 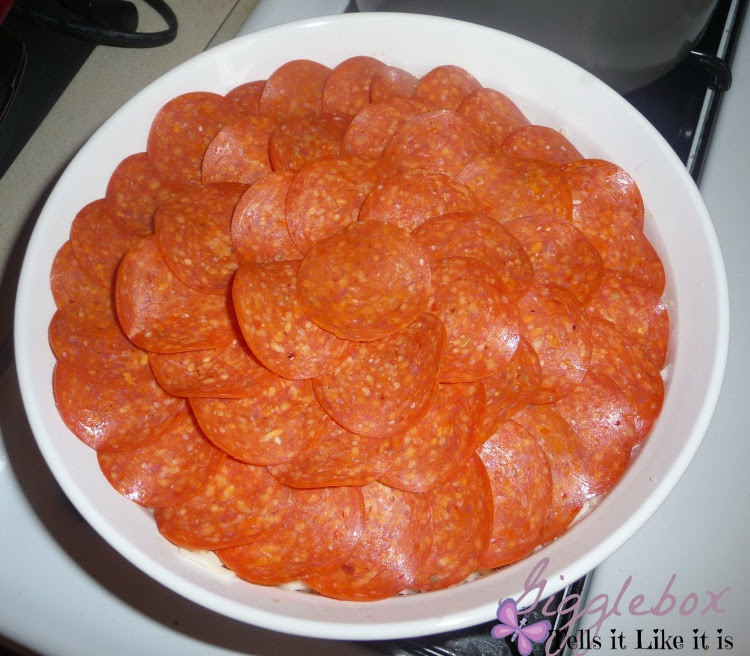 This is what the pepperoni layer should look like. No cheese showing. 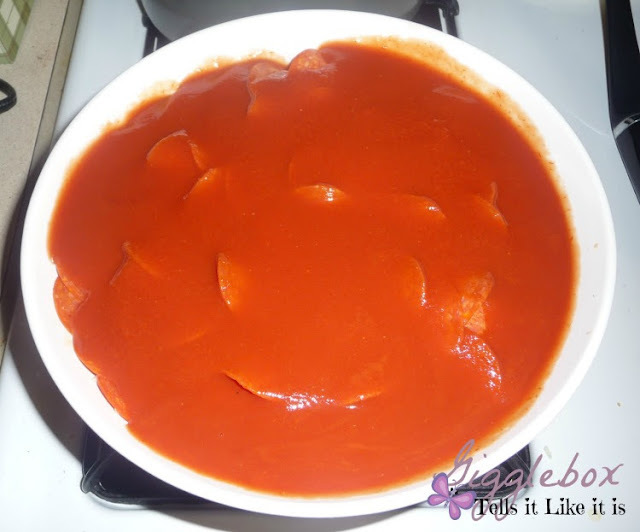 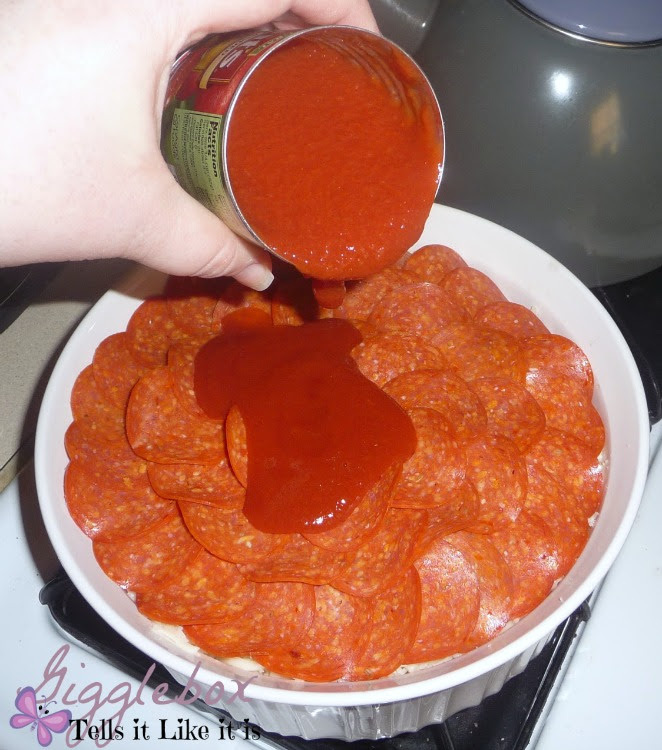 Pour the tomato sauce over the pepperoni. 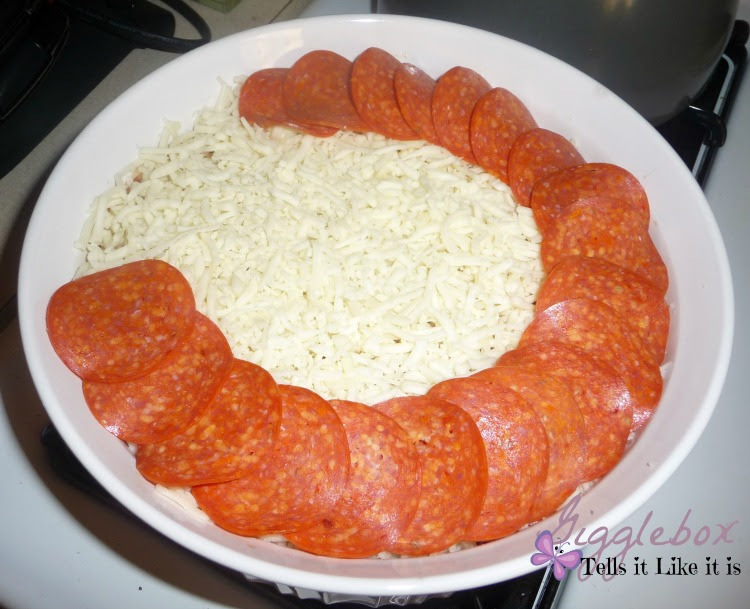 Make sure the sauce covers the layer of pepperoni. 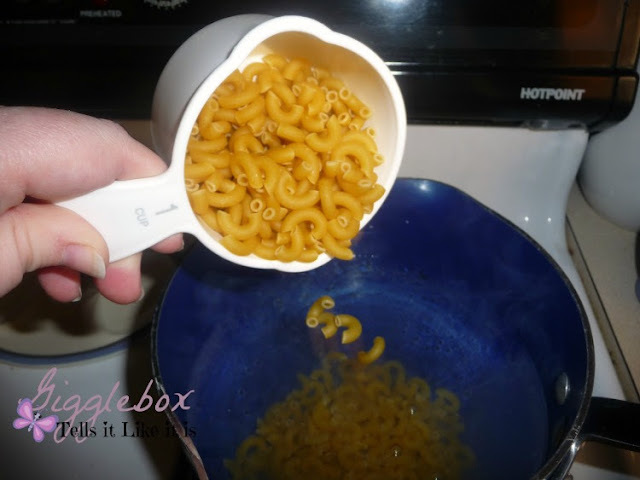 Hope you enjoy this yummy meal! It's one of our family's favorites.